Please join us on Easter during the 8:00 AM and 11:00 AM services for a very special service. 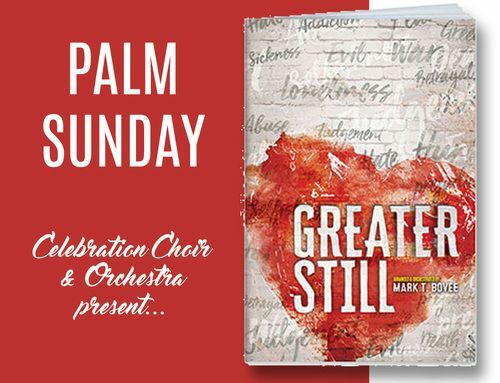 Our Celebration Choir & Orchestra will lead us as we worship in song about the death, burial and resurrection of our Lord and Savior, Jesus Christ. God is worthy of all our praise, because, no matter what we may face in life and ministry, He is Greater Still.